Children’s Ministry Magazine had a post on classroom discipline challenges. It lists 3 of the biggest (according to them) and how sometimes we think and therefore handle them wrongly, as well as offering advice on how to correctly handle them. If you teach in a Children’s Ministry classroom, this is a helpful post (… it may be helpful to parents as well). Greg Baird is going back to back in consecutive weeks as he had post on leading well during the holidays. He lists 5 ways to do this. All of them are important for leaders to remember durning what can be a stressful time of year. #3 is my favorite ( … probably because it’s my tendency). Our friend Sam Luce had a post entitled “Raising Gospel Centered Kids in a Gospel Hating World”. He reminds parents, “Exemplify the gospel to your kids – For us to parent our kids in an offensive way and not a defensive way requires us having a firm grasp of the gospel. “ He goes on to explain what he means. This is really helpful for parents to be thinking through. As a mom and children’s ministry director, I want to equip children to look at all of life through the lens of the gospel. And, as the mother of three children from different ethnic backgrounds, the way the gospel impacts diversity is a frequent topic of discussion in our home. Parents and teachers must help children see that diversity is part of God’s creative design. Here are six resources for teaching kids about God’s design for diversity. 2–3. 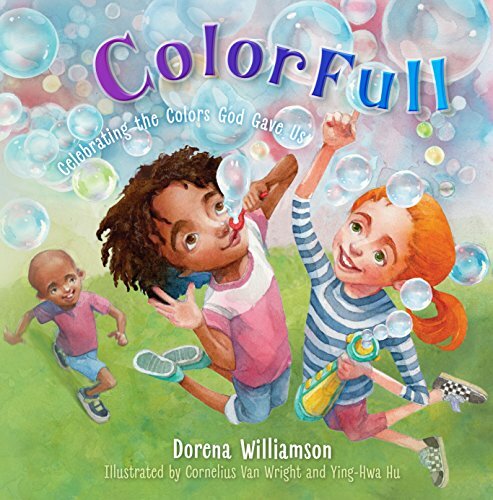 Dorena Williamson’s two books, ﻿Colorfull: Celebrating the Colors God Gave Us (B&H Kids, 2018) and Thoughtfull: Discovering the Unique Gifts in Each of Us (B&H Kids, 2018), tell stories that encourage readers to celebrate and appreciate God’s original plan for diversity. In Colorfull, children take time to enjoy the colors found around them in everything from bubbles and green beans to flowers and ice cream. 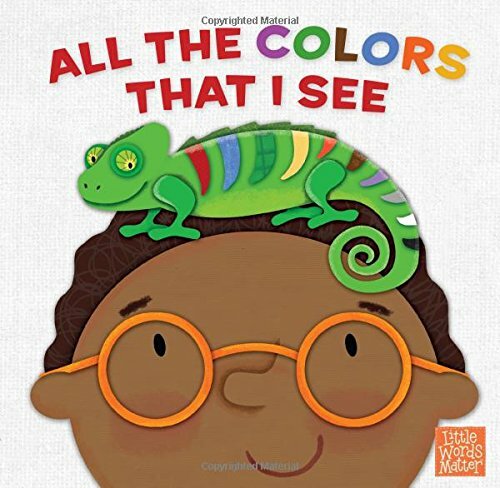 With the help of Granny Mac they learn the importance of celebrating colors and not being colorblind. While Colorfull celebrates all “fifty gazillion” colors, Thoughfull highlights the fact that God created us with unique gifts. We learn that when “we only spend time around people who are like us, we miss out on discovering the unique things about people who are different from us.” In this story the main character learns many valuable lessons from one of his peers who has Down Syndrome. I enjoyed this book because it gives practical ways that children (and adults!) can love their neighbors with special needs and encourage others to see what they can learn as well. 4–5. 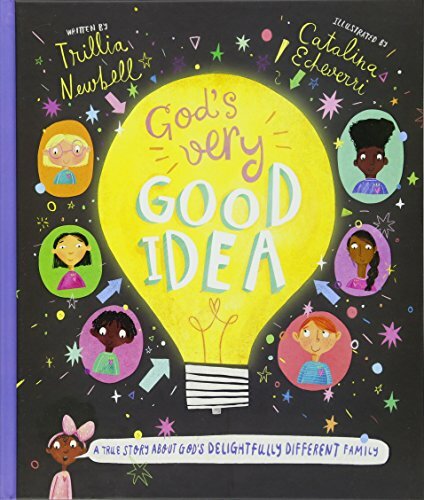 God’s Very Good Idea: A True Story of God’s Delightfully Different Family by Trillia Newbell (The Good Book Company, 2017) and God Made Me And You: Celebrating God’s Design for Ethnic Diversity by Shai Linne (New Growth Press, 2018) are also excellent resources that speak to God’s design for diversity. Newbell’s book is beautifully written and has vivid and colorful illustrations. The illustrations serve the book in a unique way to further develop the message that everyone is different and valuable because God made us this way. The artwork causes the reader to linger and hopefully consider: If the rest of creation displays such range of diversity, why would humanity be any different? The breadth of God’s creative beauty should lead us to worship. I love how Newbell points out that we were created to mirror what God is like—to be creative, loving, and able to enjoy. Both books remind us that God’s creation of people in his image is merely something that happened “in the beginning.” Rather, God has carried on creating people in his image and continues this beautiful, creative work today. In God Made Me and You, Linne writes that we are “made in the womb by God’s hand, no accident, part of his plan”. In light of this truth, both books acknowledge special needs by including within the illustrations children with braces, wheelchairs, a prosthetic leg, a hearing aid and even a little girl with a birthmark on her face. Newbell’s book is one of the few children’s books I’ve read that deals with our brokenness around issues of diversity without simply assigning blame to Adam and Eve long ago. Newbell gently suggests that we ruin God’s very good idea even today. “We choose not to love God, and so we are not able to love each other like we should.” It is at this point in the book that the illustrator “dims the lights”. The reader can almost feeI the implications of the text as the “lighting” changes throughout the book. Interestingly, when the lights go down all of the people have a likeness in appearance, all changed to a greenish blue underscoring the fact that when we chose to sin we chose to be the same—broken in our sin. Choosing sin leads us to hate over things that were intended to reflect God’s glory and worth. The story of God Made You and Me begins with students bullying one another because of their physical differences. The setting of the book occurs in Bible class at a Christian school where they are studying Acts 17. To a young child, it may be a bit of a surprise that such behavior would happen here. But, for adults, this shows the absurdity of prejudice and racism. We know this kind of behavior happens amongst adults within churches as well. Both books address the issue of diversity by pointing to our God’s creative design and anchoring our hope for racial reconciliation in the gospel. Neither Newbell nor Linne leave us to wait for heaven until all things are made right. Instead, they share the hope and help that we have in our Rescuer and encourage us to be a part of the work that God is doing today through the church to redeem and reconcile his family. I believe that a better understanding of diversity will help us to better see the Creator God’s beauty and character. 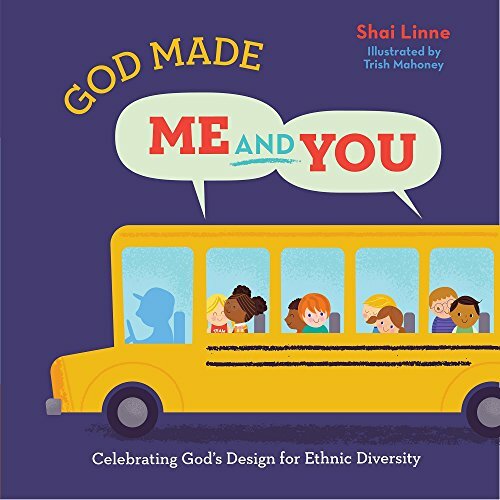 Pick up one of these resources and to teach the kids in your care about God’s beautiful design for multi-cultural and multi-ethnic Christian fellowship. Dottie and her husband, Stephen, are members at Crawford Avenue Baptist, a Sojourn Network church in Augusta, GA, where she serves as Children’s Ministry Director. She is passionate about adoption and special needs and loves caring for her three children—Evangeline, Elijah and Branch. Greg Baird had a post on books Children’s Ministry leaders should read. He states the reason for pulling this list together this way, “Statistics show that reading by leaders is in decline.” Leaders need to be growing and one of the easiest ways to do this is to read. Tim Elmore had a helpful post for parents listing dangerous apps kids might be using. He says, “Parenting a teen has never been an easy feat, but in today’s digital age, tracking a teen’s behavior has become almost impossible. With an increase of social media apps and the option of anonymity, teens are communicating in a digital world that has no boundaries…leaving parents with no idea on how to monitor their teen’s smart phone activity.” Parents this can be a very helpful post to start this important discussion. Kristen Wetherell had a post on the connection to parenting and tiredness. She wrote, “Parents, your tiredness may be an unwanted trial, but it’s also an opportunity to trust God.” It doesn't matter how your kids are there will always be seasons of sleeplessness. We could all use the advice given here. What have you been reading (or writing) online lately and benefiting from? Leave us a link in the comment section and we’ll check it out.